Our Bequia villa is located in Belmont Estates and on the main road that leads to Port Elizabeth, an easy 15 minute walk mostly downhill for grocery and other shopping, or about a 10 minute drive in the other direction to get to the airport. As with all Bequia villas, proximity to the lovely beaches is very important! For The Nest beaches are very close by…. Plantation House beach is less than 10 minutes walk, Lower Bay is about a 20 minute walk with Princess Margaret beach in between. My recommendation is to walk to the beach of choice and arrange for a taxi home! Friendship Bay and Spring are on the other side of the island and also easily available depending on your energy level. 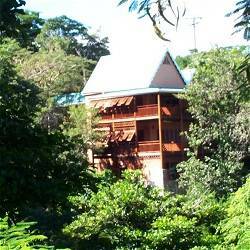 Want to stay at a Bequia villa? The Nest is ideally located. 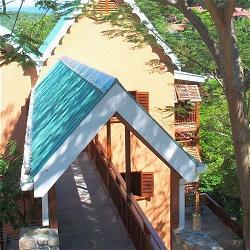 Bequia villas are a great choice of accommodation for your Caribbean holiday. Rates are typically lower than traditional hotel rooms and The Nest offers additional space (living and dining room, kitchen and outdoor veranda) in which to truly relax. The privacy of staying in your own Bequia villa, such as The Nest, makes it a great choice for an intimate getaway while the additional space is perfect for friends travelling together or a small family. Please contact us for availability and bookings – we look forward to welcoming you to The Nest.